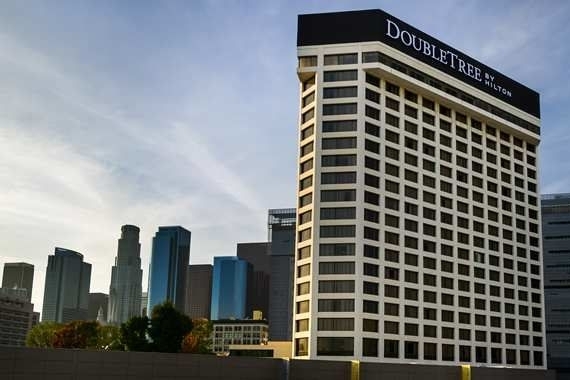 It is my distinct honor to welcome you to the latest edition of Trojan Model United Nations, to be held in stunning Los Angeles, California at the DoubleTree by Hilton Los Angeles Downtown Hotel. TrojanMUN started as an initiative by the members of Model United Nations of Southern California, USC’s competitive MUN team, to expand the West Coast circuit throughout the fall semester. In recent years, it has grown to be one of the most dynamic conferences held in the country, and TrojanMUN 2019 aims to not only refine but surpass our previous ventures. With 12 engaging committees that explore the expanses of time and space, TrojanMUN 2019 offers numerous opportunities for the innovative and exhilarating debate that we have become known for. Our General Assemblies will prompt delegates to tackle some of the most pressing issues currently facing the international community. Within our Specialized Bodies, delegates will stand poised to debate at pivotal moments: both historical and modern. Finally, our ground-breaking Crisis Committees aim to not only create exciting forums for debate, but challenge delegates to put their diplomacy and creativity skills to the test. TrojanMUN 2019 places a great emphasis on staff training and aims to provide an experience that meets the needs of each delegate from the moment they enter our city. Our 3:1 delegate-staff ratio within crisis committees ensures that all delegates receive tailored attention and responses in a timely manner. Furthermore, TrojanMUN 2019 will present completely new social experiences that take advantage of everything that Southern California has to offer. Each night presents opportunities to make new friends and strengthen old bonds as we move towards our exciting delegate social that brings the conference to a peak on Saturday night. So from our Model UN family to yours, we hope to see you in Los Angeles this fall for a conference that will ignite change throughout our world. The committees at TrojanMUN 2019 are diverse in terms of geographic scope, time period, and agenda. Regardless of their interests, delegates are sure to find an exciting opportunity for debate and negotiation. TrojanMUN brings together the rapidly growing West Coast circuit with schools from across the United States. Our aim is to cultivate a community that unites us over a shared love for the world and desire to ignite change. Ranked the #1 Fall conference on the West Coast, TrojanMUN takes full advantage of everything Southern California has to offer. Hosted in historic Little Tokyo, the vast shopping and dining options of Downtown Los Angeles are just steps away from our venue, ensuring delegates will have no shortage of activity.